Donald Trump's refusal to admit 24-year-old Hoda Muthana comes just as he is pressing Europeans to repatriate their own ISIS fighters and will likely face legal challenges, with US citizenship extremely difficult to lose. Hoda Muthana said she was brainwashed by social media messages and headed to Syria in 2014. President Donald Trump said Wednesday he is barring a US-born former ISIS propagandist from returning home, making the highly unusual case that she is not a US citizen. Trump's refusal to admit 24-year-old Hoda Muthana comes just as he is pressing Europeans to repatriate their own ISIS fighters and will likely face legal challenges, with US citizenship extremely difficult to lose. Trump said on Twitter he has "instructed" Secretary of State Mike Pompeo "not to allow Hoda Muthana back into the country" -- a break with usual US protocol not to comment on individuals' immigration issues. 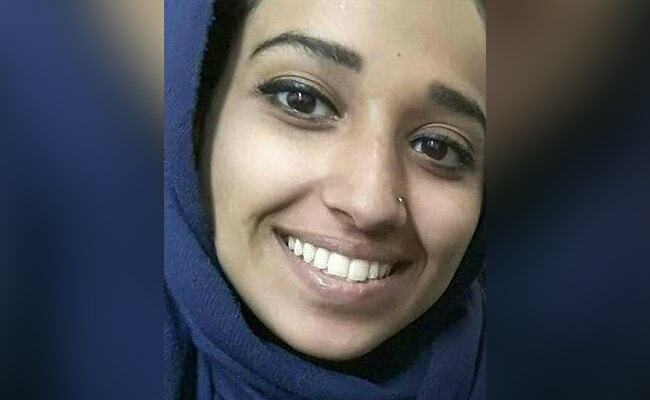 "Ms. Hoda Muthana is not a US citizen and will not be admitted into the United States," Pompeo said in a terse statement. "She does not have any legal basis, no valid US passport, no right to a passport, nor any visa to travel to the United States," he added. But a US official said a later investigation showed that she had not been entitled to her passport, adding: "Ms. Muthana's citizenship has not been revoked because she was never a citizen." Officials declined further comment but in a loophole that could boost the government case, Muthana's father had been a diplomat from Yemen -- and children of diplomats are not automatically given citizenship. Muthana's lawyer, Hassan Shilby, showed a birth certificate that demonstrated she was born in New Jersey in 1994 and said her father had ceased being a diplomat "months and months" before her birth. "She is a US citizen. She had a valid passport. She may have broken the law and, if she has, she's willing to pay the price," Shilby told AFP at his office in Tampa. "We cannot get to a point where we simply strip citizenship from those who break the law. That's not what America is about. We have one of the greatest legal systems in the world, and we have to abide by it." Just this weekend, Trump took to Twitter to chastise European allies that have not taken back hundreds of ISIS prisoners caught in Syria, where Trump plans to withdraw US troops. Comparatively few Americans have embraced radical Islam, with the Counter Extremism Project at George Washington University identifying 64 who went to join the ISIS group in Syria or Iraq. Muthana, raised in a strict household in Hoover, Alabama, said she was brainwashed by social media messages and headed to Syria without her parents' knowledge in 2014. But with the ISIS group down to its last stretch of land, Muthana said she has renounced extremism and wants to return home with her toddler son, born to one of her three jihadist husbands. "To say that I regret my past words, any pain that I caused my family and any concerns I would cause my country would be hard for me to really express properly," she said in a handwritten note to her lawyer. The US Supreme Court in the landmark 1967 Afroyim decision rejected the government's attempt to revoke the nationality of a Polish-born naturalized American after he voted in Israel. But Trump has campaigned on a hard line over immigration and raised the prospect of ending birthright citizenship ahead of last year's congressional elections. In 2011, President Barack Obama ordered drone strikes that killed two Americans in Yemen -- prominent Al-Qaeda preacher Anwar al-Awlaki and his 16-year-old son -- but did not believe it was possible to revoke citizenship.